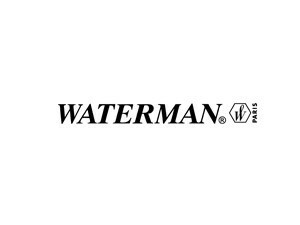 Waterman was founded in 1884 in New York by Lewis Edson Waterman. In 1899, Waterman developed the spoon feed system, a patent that prevented ink from overflowing, and won the gold medal at the Paris International Fair in 1900. The company's growth in Europe and America was exceptional. You can find pens like fine jewelry. Is the first company that put a clip on the pens to hold them in the pockets. Also in 1908 first created the rotating mechanism in the pens. The factory in France continues to produce luxury pens.